New York, NY (April 28, 2017) – The Film Society of Lincoln Center and Istituto Luce Cinecittà announce the complete lineup for the 17th edition of Open Roads: New Italian Cinema, June 1-7. Open Roads: New Italian Cinema offers North American audiences a diverse and extensive lineup of contemporary Italian films. This year’s edition again strikes a balance between emerging talents and esteemed veterans, commercial and independent fare, outrageous comedies, gripping dramas, and captivating documentaries, with in-person appearances by many of the filmmakers. 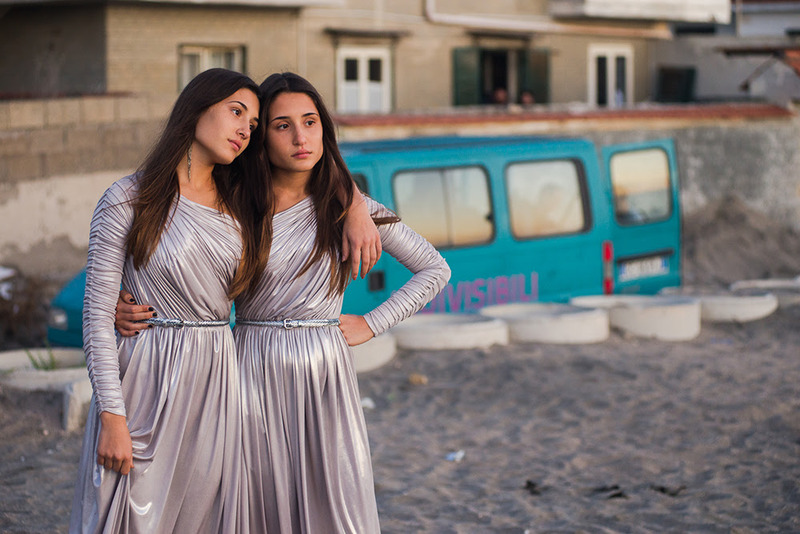 The Opening Night selection is the New York premiere of Edoardo De Angelis’s Indivisible, a captivating feature about talented conjoined twins whose dreams for their futures start to diverge around their eighteenth birthday. This year’s edition showcases 13 additional titles, all North American or New York premieres, including At War with Love, acclaimed Italian TV personality Pierfrancesco Diliberto’s World War II–set satire; Federica Di Giacomo’s exorcism documentary Deliver, which won the Orizzonti Prize at last year’s Venice Film Festival; Marco Tullio Giordana’s Two Soldiers, the last in his popular organized crime trilogy; and The War of the Yokels, Davide Barletti & Lorenzo Conte’s fable about a society at war—cast almost completely with children. Open Roads: New Italian Cinema is co-presented by the Film Society of Lincoln Center and Istituto Luce Cinecittà. Organized by Dennis Lim and Dan Sullivan, Film Society; and by Carla Cattani, Griselda Guerrasio, and Monique Catalino, Istituto Luce Cinecittà. Tickets for Open Roads: New Italian Cinema and our upcoming Marcello Mastroianni retrospective, Il Bello Marcello, go on sale May 4, with Film Society members receiving an early access period beginning May 2. Tickets are $14; $11 for students and seniors (62+); and $9 for Film Society members. See more and save with the 3+ film discount package or Open Roads Access Pass. Learn more at filmlinc.org. Istituto Luce Cinecittà is the state-owned company whose main shareholder is the Italian Ministry for Culture subsidizing its activities on an annual basis. Istituto Luce Cinecittà holds one of the most important European film and photographic archives in which materials are collected and digitally categorized, including its own productions and materials, derived from private collections and acquisitions by a variety of sources. Istituto Luce Cinecittà owns a film library, Cineteca, containing around 3000 titles of the most significant Italian film productions in order to promote Italian culture at major national and international institutes around the world. In collaboration with the Italian Ministry for the Foreign Affairs, restorations and new prints are added every year.